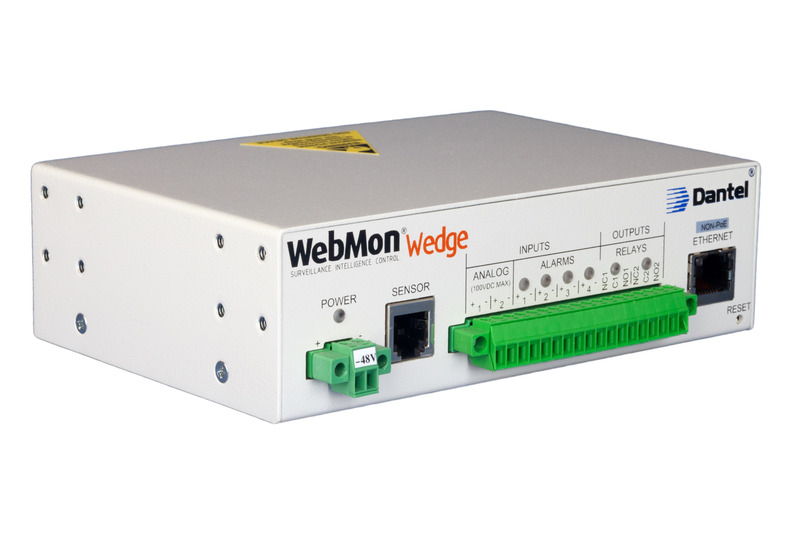 The WebMon Wedge is an Internet Protocol based monitoring device capable of reliable operation in extreme environments. It is ideal for addressing remote monitoring needs of small data-centers, utility cabinets, OSP equipment cabinets and telecommunication vaults. The inclusion of TCP IPV4 or IPv6 protocol stack ensures compatibility with current and emerging Internet of Things (IoT) network topologies and provides reliable network connectivity. WebMon Remote Terminal Units combine alarm telemetry, environmental sensing, IP transport and security capabilities in a scalable family of products to address a wide range of remote monitoring and control needs.